Help welcome the newest members of Cougar Nation family. 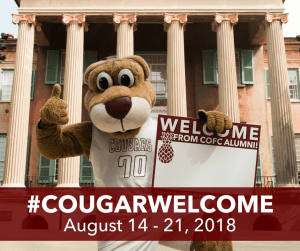 We ask all College of Charleston alumni, parents, faculty, staff, friends, and students to give a big #CougarWelcome by making a gift of any size! 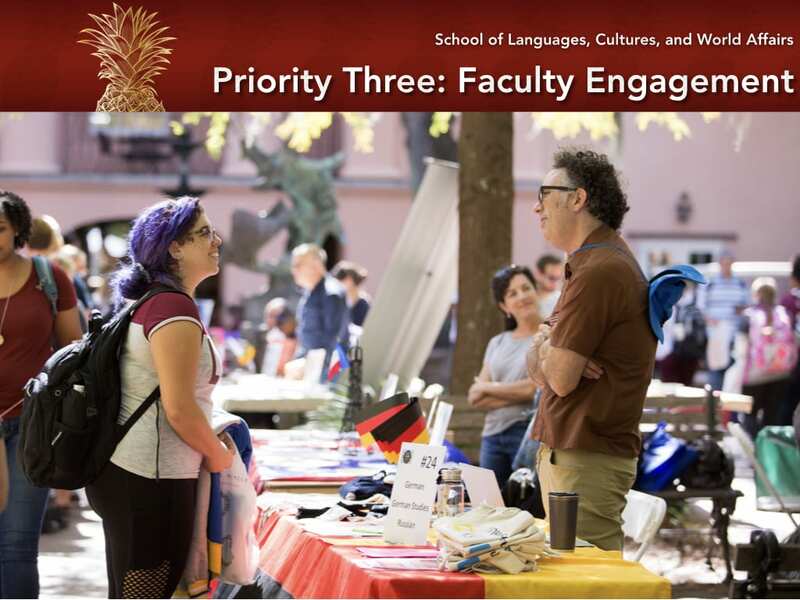 Join the College of Charleston for the fourth annual #CougarWelcome! This is your chance to hop on the welcome wagon and show the incoming Class of 2022 what it means to be a Cougar. 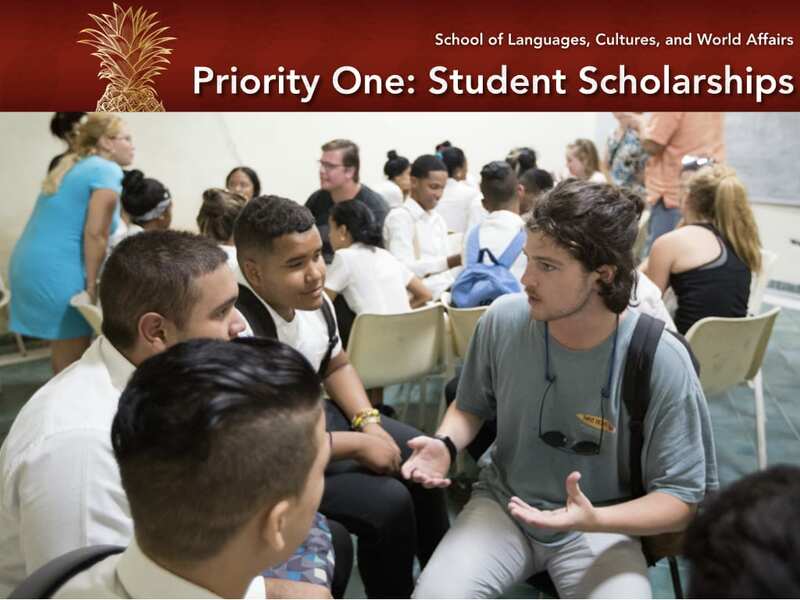 Give back now, and you’ll help secure our participation goal of 222 donors – one donor for every day a CofC student may be in class this academic year. How can you #PassThePineapple this year? Find something to WEAR. 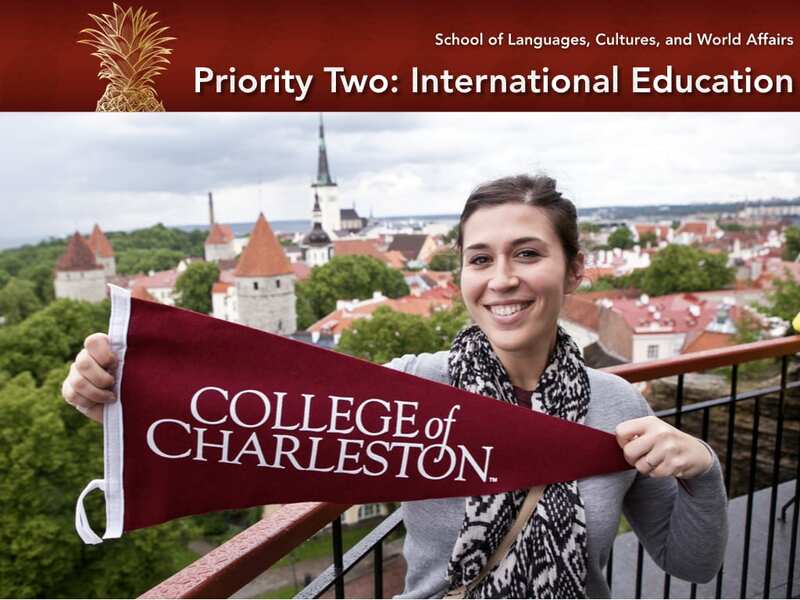 Break out your favorite CofC gear. Show you CARE by donating to the College by August 21. 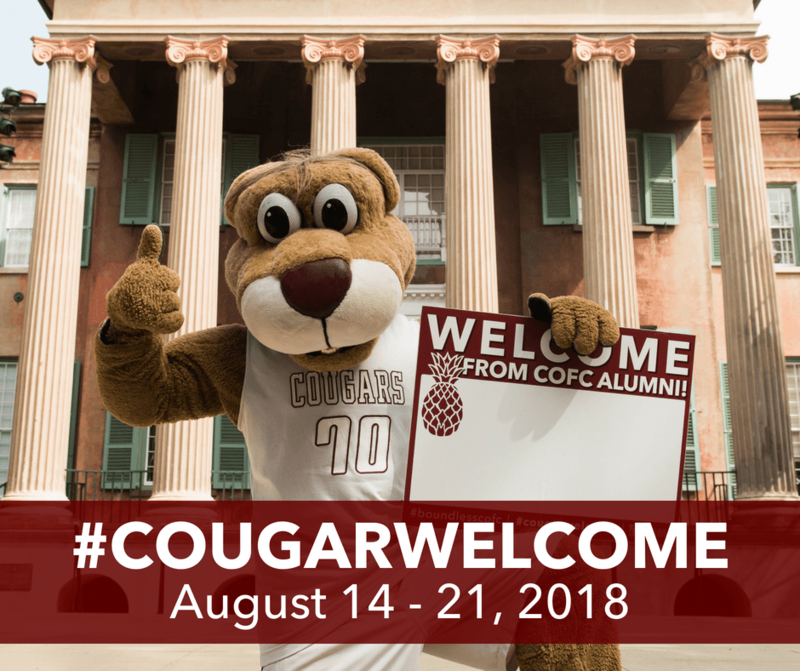 Click here to make your #CougarWelcome gift today. Remember to SHARE your advice, favorite memory or what inspires you to give back. Print this pineapple, write your message and share a pic using #CougarWelcome. Whether you wear, care or share, thank you for giving a big #CougarWelcome to the newest Cougars in the CofC family!